★★★black color only★★★ ***Product image for illustration purposes only. 我們可以用華語溝通. Shop phone : 03-42873787 / Sms : 018-9494906. Name :NG KOK HAW. CIMB Bank :8002745083. Item location: Malaysia. 我們可以用華語溝通. Shop phone : 03-42873787 / Sms : 018-9494906. Name : NG KOK HAW. CIMB Bank : 12280000238072 or 8002745083. I will try my best to help you then. For Nintendo Game Boy Original DMG-01/Pocket Bivert Chip&Backlight Mod Kit White ---------------------------------- Photos show biverted backlights. This listing is just for the backlight, wires, bivert chip and polarization film. The LCD and motherboard are not included Features include: Built in customized resistors, per color, for EXCELLENT CONTRAST and EASY INSTALLATION. Adhesive positioning strip to keep the backlight in place. SUPER DIFFUSION - minimal "hot-spotting" and extremely even light distribution. Flexible printed circuit board - no cutting of the LCD frame required. Installing a backlight naturally reduces perceived contrast of the display. To address this we recommend installing a HEX INVERTER / BIVERT MOD to get the best results. All original visuals have been reworked. In addition to retouching the image, all text, logos, and graphics were recomposed, while the shades were optimized for printing. La boite est découpée et pliée, prête à l'emploi. Doom for Sega Genesis 32X Box Only ID Software 1994. Zustand: Bedienungsanleitung leicht gestoßen, berieben, ein paar Eselsohren. Karton rückseite mit größeren Abriss. Ecken gestoßen, eine Ecke mit kleinen Einriss. Mit dabei die Bedienungsanleitung und das Werkzeug um den Chip zu wechseln. .50mm 20mil Acid-Free Plastic! Very High Quality!! White Replacement Full Shell Housing Buttons screwdriver Kit For Sony PSP 1000 Description : Complete replacement shell for Sony PSP 1000 . Contains all the plastics to renew your console to a like new condition. Professional kit supplied in a protective film and strong delivery carton. Includes all screws, buttons, rubber caps. Matching slot in stylus also included. Product Details: It is made of strong and durable material. 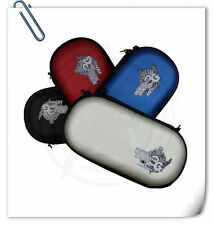 Brand new full replacement case shell for PSP1000 only, not for PSP2000/3000. Easy to change, all parts for your replacement requires. 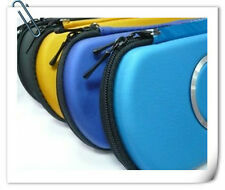 And choose your ideal colour as your mood, refurbish your for PSP1000. Make Your for PSP 1000 Console Look New .Each kit includes all the parts needed to completely recase your console. The housing shell is wrapped in a prote. Includes: Item As shown! - This is for the Sleeve Only! Ultimate soccer. Ayrton Senna's Super Monaco GP 2. CAPCOM SEKIRO SHADOWS DIE TWICE. 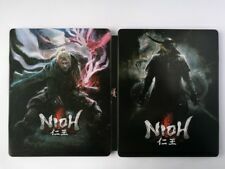 Geo Limited Steel Book only. Unten finden Sie eine automatische Übersetzung ins Deutsche. BoxNur ,Nicht EINFÜGEN /Nicht Spiel. Echte Atari Jaguar Doom Spieledose - P / N: J9029E. Platform Atari Jaguar. 1 Console Box Protector For Nintendo SWITCH Original + Super Smash Bros. READ! Fits Super Smash Bros. + Pokemon Boxes too! Read!! This listing is for a 2003 Mirror's Edge: Catalyst Collector's Edition Steelbook case that is in very good condition. There is one long hairline on the back, and signs of very light wear. No game is included. Please see our photos for best assessment, and feel free to ask any questions you may have before making your purchase.